You'll love this easy crochet pattern. 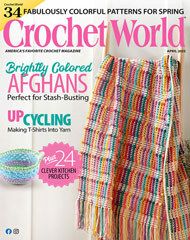 Colorful craft cord makes this pail-style beach bag extra durable. Its clever design makes it fun and functional. Finished size: 8 1/2" across bottom x 10" tall.